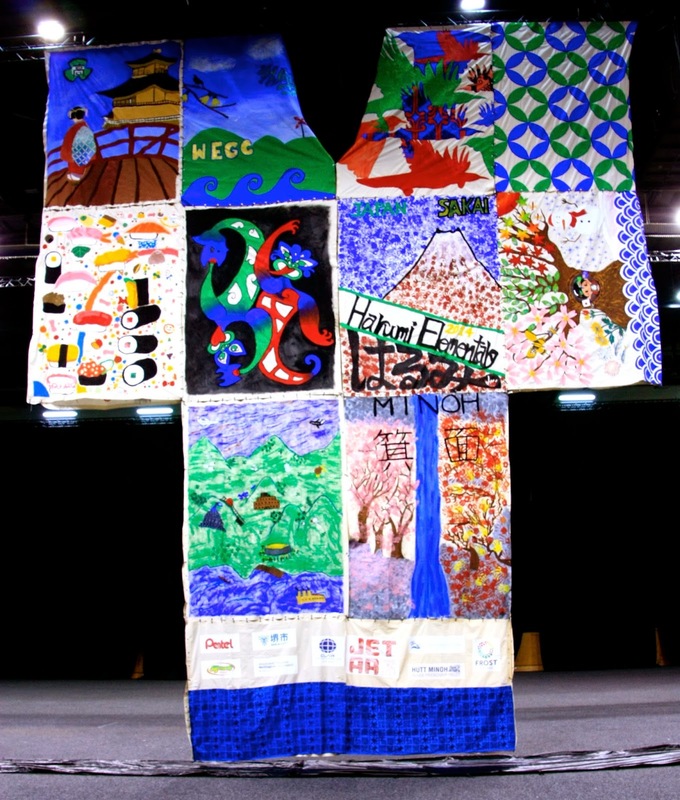 The giant kimono was devised and organized by Emma White and Sol from the New Zealand JET Alumni. 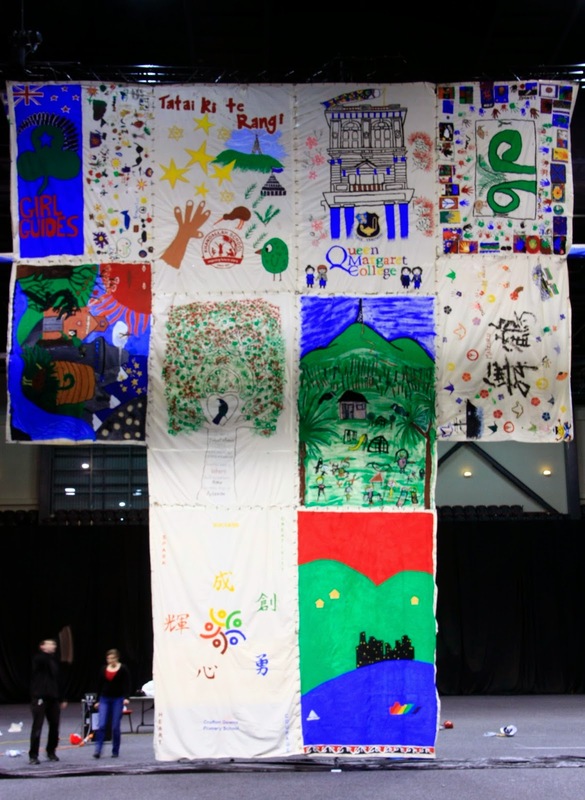 Emma and Sol sent fabric panels and paint to New Zealand school and Japanese schools and the kids decorated them and sent them back. Then they had to have eyelets punched around them so they could be linked together. 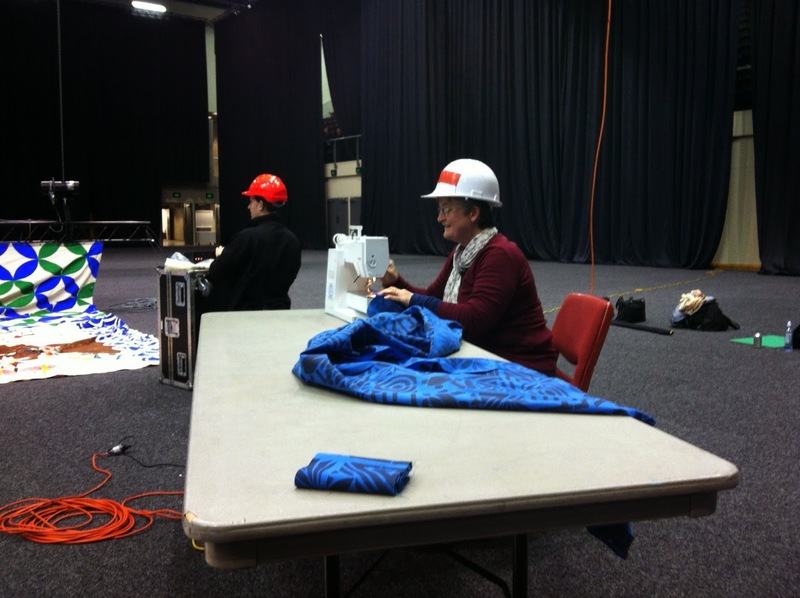 About 10 days ago the work was hung for the first time and I gave them a hand to string the pieces together and sew an extra panel on the base, hence the crash hat. This is what it looked like when it hung for the first time from one of the lighting gantries in the TSB arena in Wellington, prior to the Japan Festival last weekend.